Spring is in the air, an evening stroll on The Calendar Road, after the clocks have gone forward and the brighter evenings are full of birdsong. 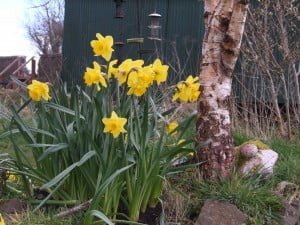 Sinéad talks about the signs of spring on this months podcast. Calvin Jones is a freelance writer, author, birder and lifelong wildlife enthusiast. He is founder and editor of IrelandsWildlife.com and founder and wildlife guide of Ireland's Wildlife Tours offering wildlife and birding holidays on Ireland's south coast.